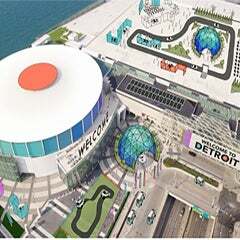 DETROIT, Jan. 5, 2012 – Senior officials for the Detroit Regional Convention Facility Authority and the North American International Auto Show (NAIAS) today signed an unprecedented five-year contract that will keep one of the world’s most influential auto shows in the Motor City through 2017. The agreement represents an aggregate economic impact of $1.75 billion to Southeast Michigan over the life of the deal, said Larry Alexander, chairman of the Detroit Regional Convention Facility Authority. 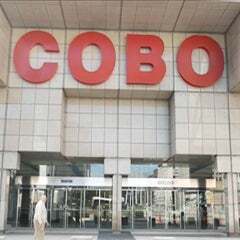 “We’re thrilled about the changes we’ve seen at Cobo Center,” said Bill Perkins, senior co-chair of the 2012 NAIAS. 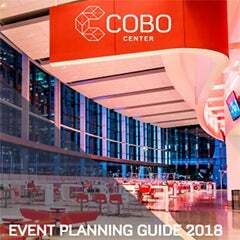 “The essence of good customer relations is customer service and feedback, and we were pleased that the NAIAS Executive Committee was included in the Cobo transformation planning process. The Detroit Regional Convention Facility Authority (DRCFA) was created in 2009 to operate Cobo Convention and Exhibition Center in Detroit under long-term lease from the city of Detroit. The DRCFA Board of Directors is comprised of five representatives selected by the Governor of Michigan, the Mayor of Detroit, and the county executives of Wayne, Oakland and Macomb. The DRCFA receives funding from revenues at Cobo Center as well as support from the state’s Convention Fund. For more information, visit the Authority’s Web site at www.DRCFA.org. Entering its 24th year as an international event, the NAIAS is among the most prestigious auto shows in the world, providing unparalleled access to the automotive products, people and ideas that matter most – up close and in one place. One of the largest media events in North America, the NAIAS is the only auto show in the United States to earn an annual distinguished sanction of the Organisation Internationale des Constructeurs d'Automobiles, the Paris-based alliance of automotive trade associations and manufacturers from around the world.